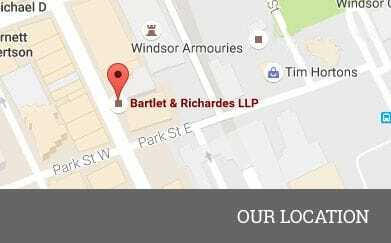 Bartlet & Richardes LLP has extensive experience in representation of clients in the public sector, including all of Windsor's public hospitals, various other health care providers, municipalities, and has specialized in representing service providers in the areas of children's services and services to the disabled. Members of the firm have also served as employer representatives to arbitration boards for the area school boards, hospitals, and municipalities, including the City of Windsor. We also service many private and public profit - oriented businesses with emphasis on the automotive industry. In the course of representation of such clients, the firm has dealt with virtually all trade unions, including the Ontario Public Service Employees Union, the Service Employees International Union, the Canadian Union of Public Employees, the Canadian Union of Operating Engineers, the Ontario Nurses' Association, the Christian Labour Alliance of Canada, the Teamsters and both the U.A.W and the C.A.W. Members of the firm engaged in the practice of labour and employment law are: Jean L. Marentette, Philip S. Chandler and Emilia M. Coto.